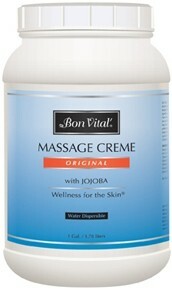 Original Massage Cream, by Bon Vital, is a high quality massage cream designed to create the optimum massage environment while nourishing the skin with Bon Vital’s original blend of vitamins and minerals. 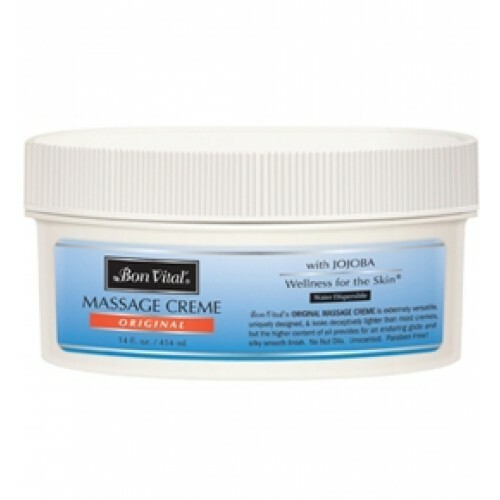 The silky feel of this Massage Cream makes it perfect for deep tissue or light massage. 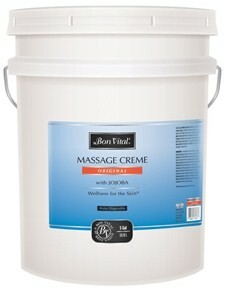 The thick cream allows the hands to glide, rather than slip or slide. 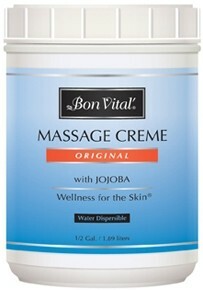 Bon Vital massage cream doesn't leave a waxy residue like some others do. I will purchase this one again.